Sweden offers not only interesting courses in higher education, but also a very challenging student live. 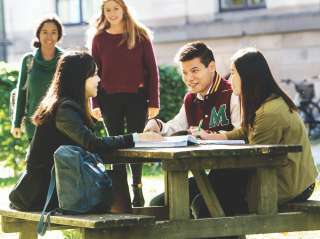 As an international student you will get the opportunity to meet students from all over the world and feel the “Swedish or Scandinavian way of live”. As English is widely spoken in Sweden, you won’t get problems in getting around. A good way to meet other students when you arrive in Sweden is to become member of the student union of your university.